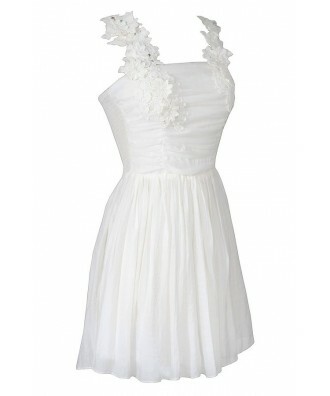 You have added April Flowers Applique Strap Dress in Ivory into shopping cart. 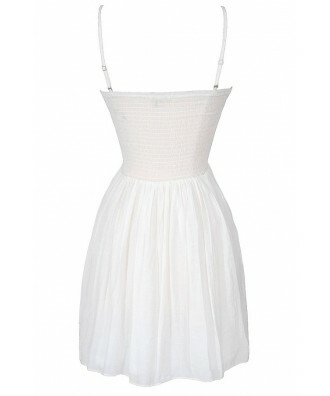 This sweet and delicate dress is simple yet dramatic. 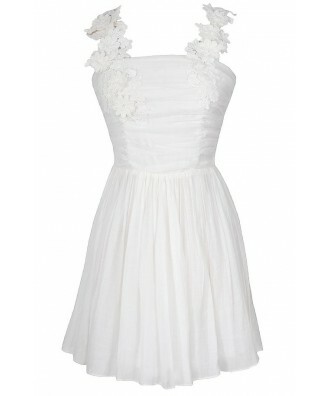 The April Flowers Applique Strap Dress is fully lined and has a lined and lightly padded bust. It is made of a gauzy cotton blend fabric. It has a squared neckline and the bust has princess seams with gathered fabric. 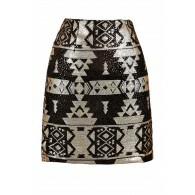 The attached skirt has a flowy cut. The best part of this dress is the flower applique design that starts at the bust and continues up the strap. The straps are adjustable in the back so you can control the fit. Fabric ruching at the back of this dress expands to fit your shape and a hidden back zipper completes this look. Also available in Cream. Details: Fully lined. Lightly padded bust. Hidden side zipper. 70% cotton, 30% silk. Dry clean. Do not bleach. Cool iron. No tumble dry. Small measurements: Length from top of bust to hemline: 27”. Bust: 30”. 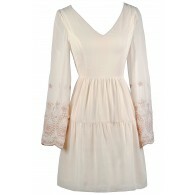 You have added April Flowers Applique Strap Dress in Ivory into Wishlist. 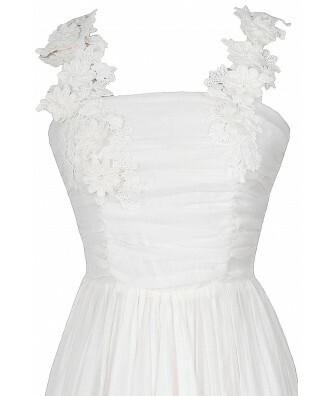 You have added April Flowers Applique Strap Dress in Ivory for Stock Notification. 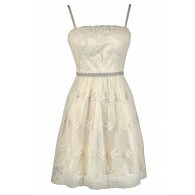 You have set April Flowers Applique Strap Dress in Ivory as a loved product. 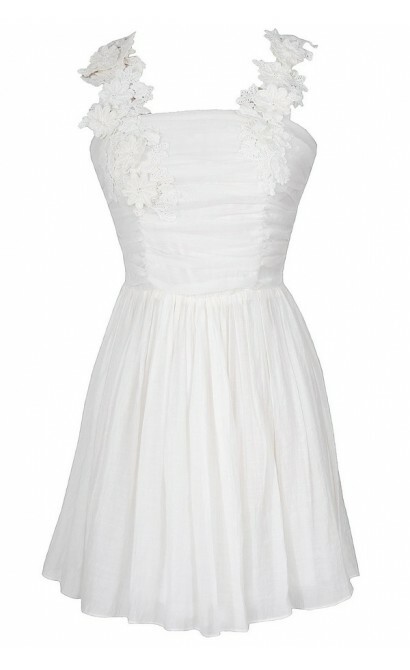 You have removed April Flowers Applique Strap Dress in Ivory as a loved product.